Cook Your Own Adventure: The Best Cookbooks Of 2015 This year's cookbooks point to big dreams, and a kind of comfort with concepts once considered the province of professional cooks. This year's cookbooks point to big dreams in the kitchen, and a kind of comfort with concepts once considered the province of professional cooks — ingredients from those last few shelves you haven't explored at your Asian grocery store, recipes that foreground umami flavors, make-at-home doughs for croissant and brioche, and, in a charming twist, recipes for chicken (that most unexotic of birds) that travel to every corner of the globe. There's even a book to set the littlest food lover in your home on the path to culinary independence. It's got stickers and stars and labels that will make even the most unsure young cook feel confident — but for the rest of us, gasps of wonder and sighs of contentment from our well-fed friends and family will do. Half-Chinese, half-British blogger Lizzie Mabbott had a sleeper hit this year in Chinatown Kitchen (you may have missed it when it was published during the summer doldrums — a common time for international buy-ins to appear). It's a rollicking ode to traditional and not-so-traditional recipes using Southeast Asian ingredients. As such, it's less a Chinese cookbook than an adventurous romp through the overlapping cuisines of Malaysia, Singapore, Thailand, Vietnam, Japan, China and Indonesia. Prepare to amplify the soy, garlic, ginger, and scallions with lemongrass, kaffir lime leaf, coconut milk, shrimp paste and more jumbled together in a dizzyingly aromatic communion. Rich, sweet proteins like hoisin and ginger ribs, or Xinjiang lamb skewers slathered over with chili bean paste, may have you licking your fingers just because chopsticks were too slow. Vegetable dishes come together lickety-split, and more often than not get slapped with a hit of red chili. All in all, Chinatown Kitchen is juicy to look at and fiery fun to eat. Of all the kids' cooking books that have crossed my threshold over the years, this is the one that seems to have struck gold. I usually hand kids' cookbooks to my daughter (she's 9 now) for a first opinion before looking at them myself; this one I never got back. 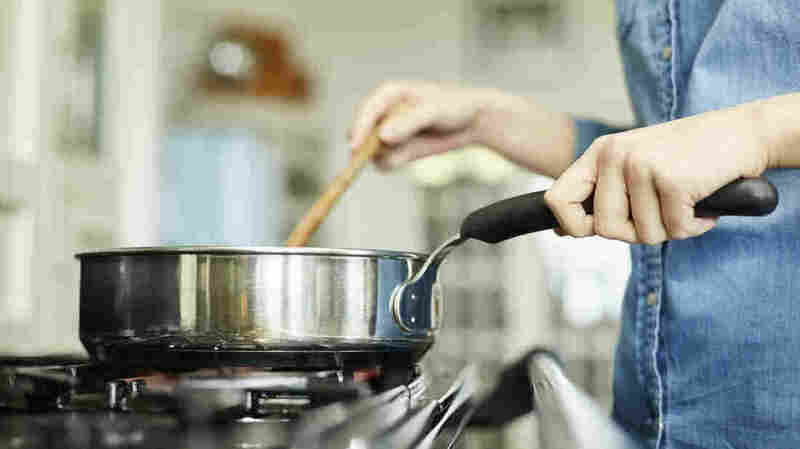 Cooking Class, written by family-magazine editor and kids'-cooking specialist Deanna Cook, seems to know how to talk directly to kids (or at least bookish kids who are seriously motivated to feed themselves) with minimal interference from parents. Part of the appeal is that it's such an intensely visual book, full of colorful pages, punchy graphics and clear instructions. It's got peel-off labels for your homemade dressings (because even a kid independent enough to cook for herself is still a kid, and hence not immune to the charm of stickers). It's got pictures of other kids cooking by themselves. And now, our copy's got stains and sticky spots — sure signs of devotion no matter what the cook's age. Until relatively recently the very concept of umami was unfamiliar outside of Japan, even though no one would dispute the popularity of dishes made with ingredients we now know to be "high in L-glutamate": cured meats, fermented foods, cheeses, soy products — not to mention those poster children of umami, tomatoes and anchovies. But umami awareness has risen precipitously, and British restaurateur and food entrepreneur Laura Santtini launched a full-blown brand by hitching her wagon to the "fifth taste." In 2010 she introduced "Taste #5 Umami Bomb" to the global condiment market — all the savory flavors of umami, in a squeezable tube. Her cookbook, however, doesn't simply push the product. It's an eclectic collection of recipes that hop from country to country — croquetas and hamburger and rendang to madeleines and cheesecake. Each one turns up the volume on umami via anchovies, tomatoes, miso, Parmesan, nutritional yeast, whatever it takes. You can serve them up with an explanation about the fifth flavor if you like — or you can just quietly keep eating, before you lose your chance at seconds. You can almost always count on London columnist Diana Henry (now on her ninth publication) for a stylish-looking book that's fairly accessible — and what's more accessible than chicken? With red meat once again under baleful scrutiny — however temporarily — our feathered BFF is back on everybody's mind, and plate. I know you already have a favorite recipe for roast chicken, or your grandma's chicken Parm, or that stir-fry with the snow peas. But why stop there? Never mind "Thirteen Ways of Looking at a Blackbird." Henry's got over 100 Ways of Having at a Chicken, from classic global favorites like saltimbocca and Korean fried chicken wings to squabs perfumed in rosewater and sauced in sour cherries. There are chicken pastas and chicken salads and chicken curries, not to mention dishes you might have only contemplated making with beef, like burgers and meatballs. Gallus gallus domesticus, it turns out, is even more shockingly versatile than you supposed. It almost makes you wonder, why ever eat anything else? Veteran food magazine editor and author Tish Boyle's latest book is organized by flavor category — berries (strawberry-fennel sorbet), citrus (lime meringue bars), coffee (espresso-milk chocolate chunk cookies), nuts (pistachio coconut macaroons). There's summer treats (espresso granita, frozen berry pie, honey chamomile ice cream) and winter indulgences (maple-walnut caramel apples). There's cookies you can throw together in a spare half-hour, and layer cakes to perfect over a lingering afternoon. Inevitably there's some overlap between categories; one can hardly expect to confine to separate chapters those boon companions, chocolate and nuts, when they mingle so joyously on the palate (ganache-filled peanut butter cookies! chocolate-almond toffee!). Even for the most baroque recipes, the layout is commodious and the photography good enough to eat with your eyes. In case you need to observe a post-holiday baking moratorium for a while, this very polished volume will happily serve double duty on the coffee or bedside table. In Making Dough, blogger Russell von Kraayenburg sets out to demystify the overwhelming world of pâtisserie for home bakers. He's not the first to make the attempt — half a dozen pastry books promising easy, professional-looking results come out every year. But with its crave-inducing photos, leisurely explanations, ratios (for those who think that way) and dough-wrangling technical illustrations, Making Dough appeals equally to the baking nerd and the culinary free spirit. Whether you're throwing together a simple buttermilk biscuit or working your way up to your own phyllo, Kraayenburg's thoughtful advice does much to reduce that anxious perfectionism that pastry work tends to inspire. The doughs are organized into sensible categories any pastry-school graduates will recognize (biscuits, scones, pies, short crusts, pâte à choux, brioche, puff). Some techniques, like rolling a recognizable rectangle out of a block of croissant dough, take experience and practice, and here the book can only do so much. But it may well give you the confidence to try. The astonishingly productive Lidia Bastianich has done it all — restaurants, TV, innumerable cookbooks, teaching, the Eataly emporium. This year's confidently titled volume, a collaboration between Bastianich and her daughter, extends the promise of "mastery" (Did Julia Child know, when she released her landmark books, that "Mastering the Art of ... " would become a phrase to conjure with, in the cookbook industry, ever after?). But what it really delivers is a kind of accessible one-stop shopping for the gastronomy of Italy, rather like Eataly between hard covers. It's got everything from your first marinara sauce to a show-stopping roast pheasant. It takes an easy attitude about "Italian vs. Italian-American" — you don't have to look far to find lobster Fra Diavolo and chicken parm, or "shrimp scampi" or spaghetti and meatballs — and while it may not have the pedagogical passion of Marcella Hazan's or Julia Child's books, the tone is personable, and its packed, fuss-free pages offer good value. I don't mean to be a purist, but I've rarely recommended the kind of book that features a photogenic celebrity chef and his artfully undershaven jaw every several pages. But with Good Food, Good Life (his seventh outing in print), Curtis Stone has finally made me look. These are recipes that hit the sweet spot — not too difficult for a weeknight, not so familiar there's no point, just adventurous enough for grown-ups and just appealing enough for kids (Stone has two preschool-aged kids of his own — no "beige diet" for them!) Peas — but with rosemary-Parmesan cream. Roast Brussels sprouts — but with chorizo! There's slow stews and fast pastas, decadent pork belly and virtuous grilled branzino. Celebrity-chef books of this kind — part tabloid sneak-peek, part shelter magazine, part merchandising — are a dime a dozen, yet finding one with consistently practical, relatively new recipes is not as common as you'd think. Stone may have built an onscreen career by projecting a mild-mannered persona that's easy on the eyes. But make no mistake — he really can cook. I'm not sure you would notice Cooking at Home in the cookbooks display of your local bookstore. It's a chunky volume with Joy of Cooking-like heft, a plain typographic cover and an unassuming type format. (Contrary to what you might expect from a cookbook brought to you by Williams-Sonoma, it's not filled with images of glazed ramekins and picturesque tagines meant to whip you into a consumerist frenzy.) The photographic inserts are few, if mouthwatering. But a close look at the recipes reveals both thoroughness and versatility — chicken noodle soup on the one hand, roasted asparagus and shrimp chowder on the other; not just potato salad but Marsala-glazed carrots and hazelnuts. Even plain grilled lamb chops get a little extra attention, with a coriander-orange butter you might well not have thought of yourself. In short, Cooking at Home is a good compromise if you want an all-in-one package that covers the basics but also goes a little bit above and beyond what's called for. It's a fitting parting gesture from Chuck Williams, who died in December but whose legacy can be seen in millions of well-appointed kitchens across the country. Phoenix Claws and Jade Trees is just a lyrical way of saying "chicken feet and Chinese broccoli," according to Kian Lam Kho, the New York blogger behind redcook.net (software engineering is his day job). This kind of demystification sets the tone for his first book. It's a beautiful and meticulous volume that examines the techniques one by one — stir-frying, deep-frying, saucing, braising. The recipes travel the gamut from the familiar (red-cooked pork, mapo tofu) to the startling (pig's skin and bean aspic), offering something to satisfy both the customary craving and the taste for adventure. If what you think of as stir-fry is the usual 10-minute, weeknight flash in the pan, you may be surprised that some of these recipes demand an extra step or two — a sauce assembled on the side, a marinade, something parboiled. A great many call for liberal quantities of oil (that's one of the secrets you might not have known about your favorite Chinese restaurant), and you may want to up your game when it comes to knife skills, too. But if all of that sounds reasonable to you, many flavorsome rewards lie in wait. Smoky bacon candy bar cookies? Folgers crystals with sour cream gianduja shortbread? Graham cracker and passion fruit whoopie cookies? This is not your grandma's bake sale! Pastry chef Mindy Segal, proprietor of Chicago-based HotChocolate Restaurant and Dessert Bar, dares you to redefine your cookie repertoire with these cheeky, sometimes edgy riffs on the formerly humble cookie. There are some standards — brownies, thumbprints, snickerdoodles — that fall solidly in the comfort zone, where ease and familiarity carry the day. But most of these recipes push the envelope and then keep right on going. They vault beyond the holy trinity of butter-flour-sugar and make forays into the farthest reaches of pantry, fridge and liquor cabinet; they range from quickies with the stand mixer to tours de force that will muss every bowl in the kitchen and make whoever's on dish duty go cross-eyed. Just the thing for jaded cookie aficionados, weary Santas, the borderline naughty and the definitively nice alike.